Has it ever sunk into your heart that Jesus and you belong to the same family? You are even named after Him. And “Christian” is not just your new family name; it’s your whole identity. God wants you to know what this means because it will anchor your Christian walk and give you inner strength, freedom, confidence and clear direction. I am a child of God (see Romans 8:16). I am a conqueror through Him (see Romans 8:37). I am an ambassador for Christ (see 2 Corinthians 5:20). I am His witness (see Acts 1:8). Because God wants all of us to be His witnesses and ambassadors while we live on earth, each of us has a special role in His kingdom. Perhaps we are called to be a Barnabas, an encourager; a Timothy, who faithfully serves and learns under an older servant of God; or a Stephen, who is a fearless witness. Know God’s call on your life. Write it down. It’s important for you to know where you fit in God’s plan. When we study the lives of those in the Bible whom God called for a specific purpose, we often find that many gained clarity regarding their identity and mission while going through trials and wilderness experiences. Jacob, after 20 years of scheming and failures, finally came to the end of himself. In the midst of all hopelessness, he heard the words from the Man who wrestled with him all night: “Your name shall no longer be called Jacob, but Israel” (Genesis 32:28). Jacob understood his identity was no longer that of a deceiver but that of a prince. From that moment on, his life changed until it matched what God said about him. After 40 long years living as a refugee and shepherd in the wilderness, Moses had even lost his ability to articulate well. That’s when God told him, “I will send you to Pharaoh that you may bring My people, the children of Israel, out of Egypt” (Exodus 3:10). Moses’ identity in God’s plan was that of a deliverer who knew God face-to-face. This became clear to him after all the glamour of Egypt had been stripped away and he stood alone in the wilderness before the burning bush. As he began to walk in his identity, Moses fulfilled God’s plan. Gideon, hiding and scared to death of Israel’s enemies, heard the Angel of the Lord declaring his identity to him: “The Lord is with you, you mighty man of valor!” (Judges 6:12). He first thought it was a bad joke. However, each time Gideon stepped out on this declaration with a tiny bit of faith, he found it to be true, and he increasingly gained courage. In the end, we see him boldly marching with 300 people against an enemy “as numerous as locusts”—and God giving him the victory (see Judges 7:12–8:12). Even Jesus spent 40 days in the wilderness, fasting, praying and facing severe temptations, before He started His public ministry. Although He already knew who His real Father was, He revealed His identity as Messiah only after His wilderness experience. None of us looks forward to facing difficulties, loneliness, misunderstandings, problems and accusations. All these can present real wilderness experiences. I want to encourage you not to let these times be an end in themselves, but to find in them who you are in God’s plan. Being aware of who we are in God’s kingdom is important for our stability on this journey. Every day Jesus encountered people who publicly declared that He couldn’t be the Messiah. Even His closest followers were oftentimes confused about His identity. How did He ignore all those voices around Him and continue His journey toward the cross without being shaken? He listened to and believed only one voice—that of His Father. Each time people asked Him who He was, He confessed the identity His Father declared about Him. We must follow the footsteps of our Lord. We too must refuse to give in to the voices of our mind and emotions and whatever negative things other people tell us. Instead, we must confess, believe and act upon the identity Jesus gave us in His Word and the calling of God upon our lives. This will lay a strong foundation for our life and service to God and set us free to live through Christ. Whose voice will you believe? This entry was posted in 5 Minutes with K.P. and tagged 5 minutes with K.P., Dr. KP Yohannan, gfa, Gospel for Asia, K.P. Yohannan, KP Yohannan on January 31, 2011 by gfaseo. This entry was posted in A Life of Balance and tagged balance, Bible, Christianity, Discipleship, Dr. KP Yohannan, encouragement, gfa, Gospel for Asia, K.P. Yohannan, KP Yohannan, life on January 25, 2011 by gfaseo. This entry was posted in 5 Minutes with K.P. and tagged 5 minutes with K.P., Dr. KP Yohannan, gfa, Gospel for Asia, K.P. Yohannan, KP Yohannan on January 24, 2011 by gfaseo. The Road to Reality © 2003 by K.P. Yohannan, the president and founder of Gospel for Asia. It was written with the intention of encouraging and edifying the Body of Christ. To learn more about Gospel for Asia or to receive additional free resources, visit Gospel for Asia’s website. 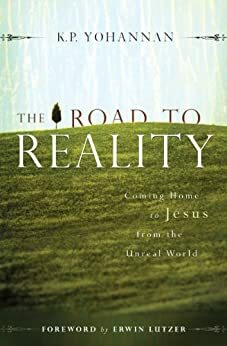 This entry was posted in The Road to Reality and tagged Christian-living, Classic, Discipleship, gfa, Gospel for Asia, Great-commission, Jesus, K.P. Yohannan, Missions, Radical, Spirituality on January 20, 2011 by gfaseo. This entry was posted in A Life of Balance and tagged balance, Bible, Christianity, Dr. KP Yohannan, encouragement, gfa, Gospel for Asia, K.P. Yohannan, KP Yohannan, life on January 18, 2011 by gfaseo. This entry was posted in 5 Minutes with K.P. and tagged 5 minutes with K.P., Dr. KP Yohannan, gfa, Gospel for Asia, K.P. Yohannan, KP Yohannan on January 17, 2011 by gfaseo. Have you ever seen those people in the circus—the tightrope walkers on the high wire? It’s all balance. They must study and learn the proper way to carry themselves as they walk that wire, otherwise they will fall. Balance is crucial in every aspect of our lives, whatever it may be. In God’s plan and creation, things are made to balance out. When we look at life, whether we are Christians or non-Christians, in ministry or otherwise, we need to have balance as our anchor, cultivating it daily into our thoughts and actions. Where do we find such a balance? We find it in the Word of God. The Bible presents us with that proper, whole and complete understanding—a stable approach of thought and action. All truth has two sides, just as a bird flies with two wings. Have you ever seen a bird with one wing fly? If you have ever seen one, I guarantee you it did not fly for long. The bird has been given two wings so that it can soar away from the earth and experience the awesomeness of God’s creation and majesty, appreciating the vastness of God’s handiwork. 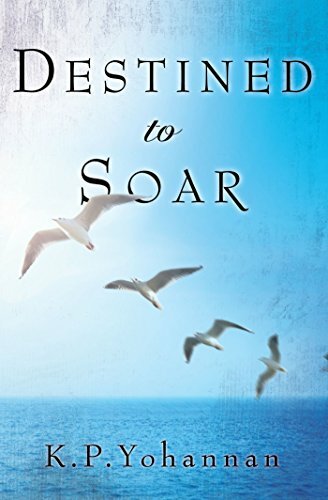 We also are meant to soar in this life. But like the bird, we cannot fly with just one wing, no matter how strong and healthy that one wing may be. With only one wing, we are unable to stay aflight due to unbalanced thinking, behaviors and decisions. If we focus only on one side of the coin, we do not have the whole picture and are therefore incomplete. We must be especially careful of this imbalance when it comes to living a life that is radical for Christ. Many times people are drawn to certain movements or ministries because they operate on the radical edge—that craziness and foolishness for Christ’s sake. This type of commitment often brings a breath of fresh air in a place where ministries become dull after time. That edge is good, yet we should keep that edge without becoming too extreme. Maintaining a balance is critical to the health of any individual or organization. If you look at many movements, you will find that radical edge—in the early days, that is. Unfortunately, many become watered-down over time. Thinking they have been too radical, full of zeal, working day and night, many feel the need to become “normal.” And normal often means lukewarm, becoming like everybody else, operating according to the standards of the world. This results in the loss of passion and purpose. Now all that remains is a structure and shadow—an organizational framework. We should personally seek to live lives of continual commitment and abandonment—forsaking all and following the Lord. We must continually endeavor to keep that vision alive. We do not want to become lukewarm. However, unless we are careful, our desire to be alive and impassioned can produce an unbalanced extreme. We are living in a day when extremism is clearly evident, especially when it comes to religious matters. Many cults started with Bible studies and good intentions. They did not begin as cults, but became one as they fell out of balance. When I first visited the United States, I read a shocking article in a newspaper about a group of people in Louisiana. The members of this group were picking up venomous snakes and drinking the poison, declaring that God would keep them safe from the harmful affects. Many of these people died while proving their “faith.” Then there is the story about parents in certain churches letting their children die from diseases, keeping them from medical treatment and claiming “faith.” One family, after praying for their diabetic son, threw away his insulin. The poor child died. It was all in the name of “faith”—an extreme and unbalanced faith. Please let us beware. Satan is the master deceiver. He masquerades as an angel of light. He will seek to sidetrack us with religious thinking that is unbalanced. The more intense and radical our lives are in following the Lord, the more authentic and holy we want to be in our pursuit of God, then the more we are in danger of getting out of balance and going to extremes. One reason why there has been so much division, disunity and fighting in the Body of Christ throughout history is because an individual or group took a truth, stretched it to an extreme and left out the other side of the story. They forgot that the coin always has two sides and that the bird flies with two wings. For example, take the Calvinistic and the Armenian points of view. The Calvinists believe in predestination, the election of the saints. Man has nothing to do with it; God has already chosen those who will go to heaven. The Armenians believe in the free will of man to choose. So it is up to man to decide if he is going to heaven or hell by his own choice to receive or reject Christ. These two groups never seem to come to terms. Yet both positions are taught in Scripture. It is like two sides of the same coin. Gently I tried to explain to this person, “It’s alright. Please understand that when I speak in a meeting there is time for only part of the story. 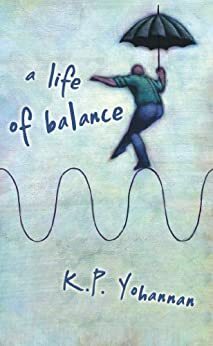 Even after two or three times of speaking, there still may not be enough time to bring the full balance to a particular subject.” I feel badly many times because people often do not realize there is always the other side of the story in the messages I speak. If I have five or six opportunities to speak on a certain issue, then I can bring balance. Unfortunately, someone who reads only one book I have written or hears me speak just one time might think that I am completely one-sided. But then they hear me in some other situation and realize my position is not at all what they thought it to be at first. Sometimes the Bible appears to contradict itself, but actually through these types of Scriptures we find the balance God desires. For example, Jesus said, “But when you do a charitable deed, do not let your left hand know what your right hand is doing, that your charitable deed may be in secret; and your Father who sees in secret will Himself reward you openly” (Matthew 6:3–4). But, on the other hand, He said, “Live such good lives among the pagans that, though they accuse you of doing wrong, they may see your good deeds and glorify God on the day he visits us” (1 Peter 2:12, NIV). There is both the life beneath the soil and the life above the soil. There is that balance. Proverbs 30:8–9 says, “Give me neither poverty nor riches—feed me with the food allotted to me; lest I be full and deny You, and say, ‘Who is the LORD?’ Or lest I be poor and steal, and profane the name of my God.” It is not being rich or being poor that is important. What is important is honoring God. James talks about rich people—the millionaires of today—coming to church wearing gold rings and fine clothes. But the point James is trying to get across has nothing to do with rich people selling all their gold and expensive things. Instead, he says not to give more honor to the rich people than to the poor people who come (see James 2:3–4). You see, in the church you have both groups—rich and poor. The balance is kept with love, not with external agendas. Another example of how things can get out of balance can be seen in the life of Martin Luther. The Reformation started based on the teaching of faith—that our salvation is by faith in Jesus Christ, not by works. “The righteous will live by faith” (Romans 1:17, NIV). “Without faith it is impossible to please God” (Hebrews 11:6, NIV). This was a great revelation to Luther because his church at that time was preaching a salvation based on works and good deeds. But when Martin Luther read James, he saw that it talked also about works. “What use is it, my brethren, if someone says he has faith but he has no works? Can that faith save him? . . . Even so faith, if it has no works, is dead, being by itself” (James 2:14, 17, NASB). Luther could not grasp this. He grappled with the message of the book of James to such a degree that he didn’t think it should be part of the Bible. He had come out of the works position into the faith position, and he could not see the whole picture. In reality, there is a beautiful balance between faith and works. We can see a picture of it in the life of Abraham. Around the age of 75, Abraham was promised a son. Twenty-five years later at the age of 100, his body was “as good as dead,” and his wife’s was also (see Romans 4). Physically, they were too old to have children. So how did Abraham and Sarah get their son? It was not a virgin birth. Abraham had a part to play. God used his body, his energy, and his blood to bring forth a son. Abraham could have said, “God promised, so He’ll do it,” and just sat there. But he didn’t do that. That’s what it means when it says faith without works is dead. When Abraham offered his son Isaac, it was a real offering up—a work. He took Isaac in his own hands, laid him on the altar and raised the knife. Real faith has action; it is visible; it is a faith with works. There is both work and rest. The two are not incompatible. In fact, Jesus speaks of the two existing simultaneously. “Take My yoke upon you and learn from Me, for I am gentle and lowly in heart, and you will find rest for your souls. For My yoke is easy and My burden is light” (Matthew 11:29-30). In all of our maturing and growing in understanding and living as the Body of Christ, we need to be continually called back to balanced thinking. And that proper balance is given to us through the Word of God. This entry was posted in A Life of Balance and tagged balance, Christianity, Dr. KP Yohannan, faith, gfa, Gospel for Asia, K.P. Yohannan, KP Yohannan, life on January 13, 2011 by gfaseo. One of my happiest times growing up in India was playing along the river. When the monsoon season came and brought the floods, the river near my village would swell. You could be sure all little kids were out on the rushing water playing in our tiny, homemade canoes—so small they could hold only one person. I was there too, just a young boy, maybe five or six years old. Just imagine, a young little kid, no more than 60 pounds, tossing on the rushing waters of a flooded river in a makeshift canoe. I can remember countless times when the whole thing would be flipped over by the force of the water, and I’d be underneath with that canoe over my head. But after many monsoon seasons and many flips, I became an expert at handling my little canoe in the floodwaters. I became so good that I could actually stand and put one foot on each side of the canoe and balance myself on the outer edges. Then I’d maneuver myself right through those waters. These memories make me wish I were young again. It was growing up by the river that I first began to learn the lesson of balance, which affects life every day, no matter where we are. In order to maintain a healthy life and ministry that doesn’t just come and go but is continually sustained by God and His grace, we need to have a balanced foundation in our thinking and our service. Then we will be able to maneuver safely through all that comes our way because we will be grounded by the Word of God. This entry was posted in A Life of Balance and tagged balance, Discipleship, Dr. KP Yohannan, gfa, Gospel for Asia, K.P. Yohannan, KP Yohannan, life on January 11, 2011 by gfaseo. 5 Minutes with K.P. – Which Road Will You Travel On? This entry was posted in 5 Minutes with K.P. and tagged 5 minutes with K.P., Dr. KP Yohannan, gfa, Gospel for Asia, K.P. Yohannan, KP Yohannan on January 10, 2011 by gfaseo.